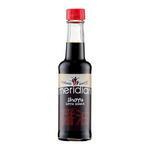 Organic Arrabbiata Sauce ingredients: Fresh tomatoes 94%, vegetables (carrots, onions, celery) in variable proportions, sea salt, basil, chilli pepper, sweet red peppers. 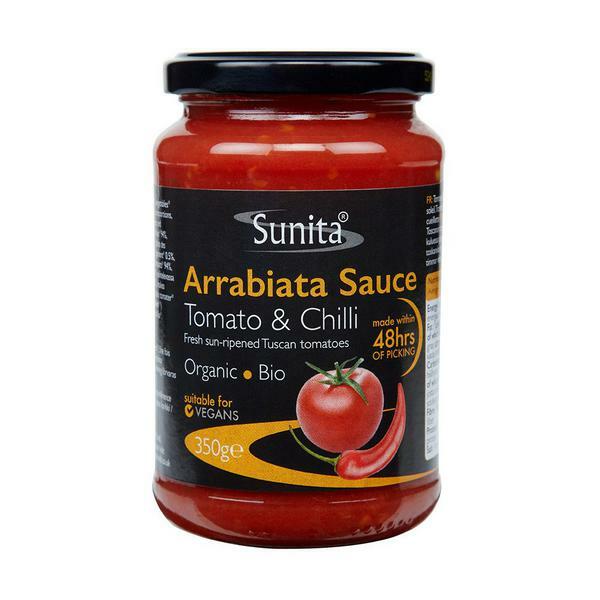 Sunita organic tomato and chilli Arrabbiata sauce is made with plump fresh sun ripened tomatoes in Italy. Grown and produced in Castagneto Carducci a municipality in the Province of Livorno in the Italian region of Tuscany our sun ripened tomatoes are harvested in late August to maintain quality and produced within forty eight hours of picking. 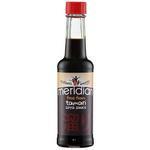 Tomato & Fiery Chilli Pasta Sauce no added su..
Mushroom & Smoked Garlic Pasta Sauce no added..